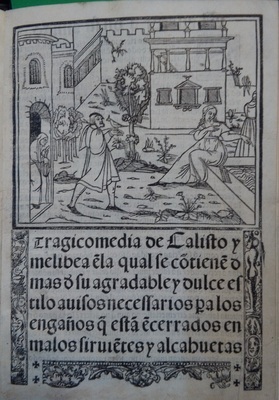 Factotums of two characters and their names above. 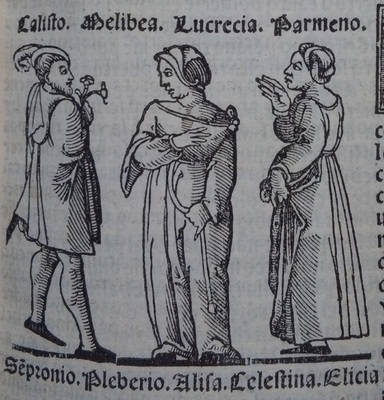 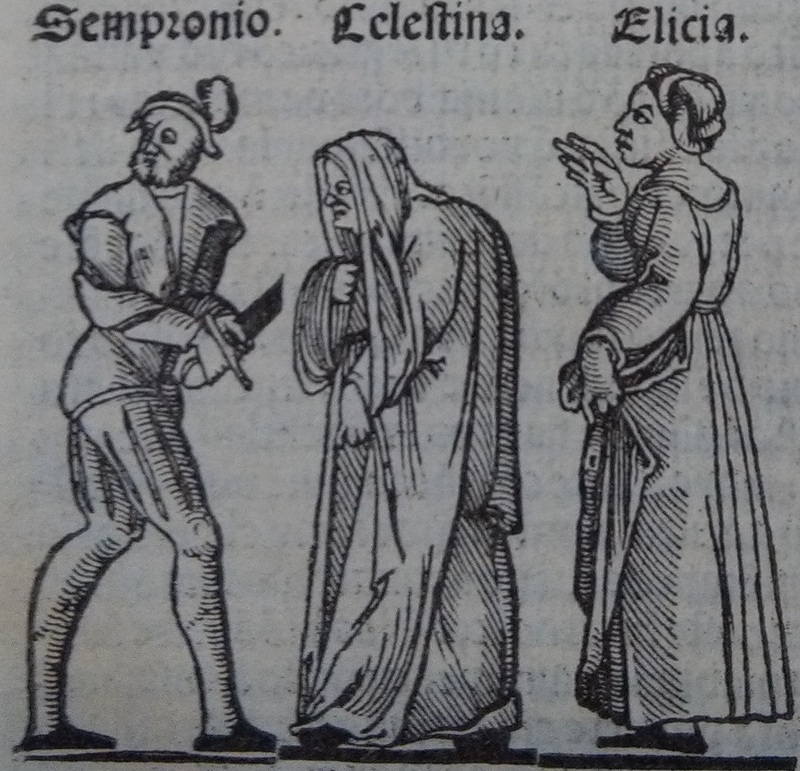 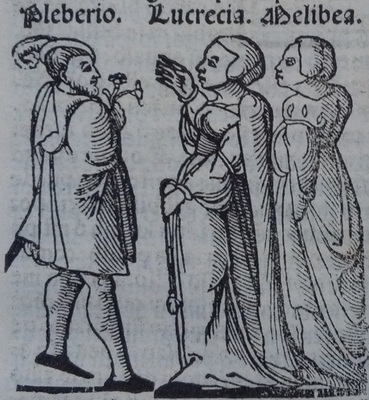 Sempronio with a sword, Celestina and Elicia. 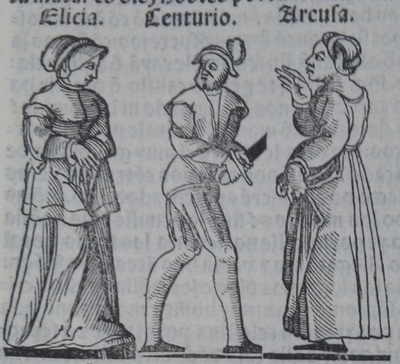 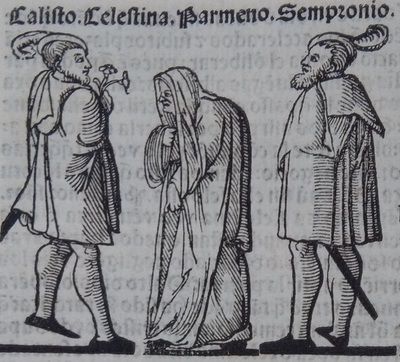 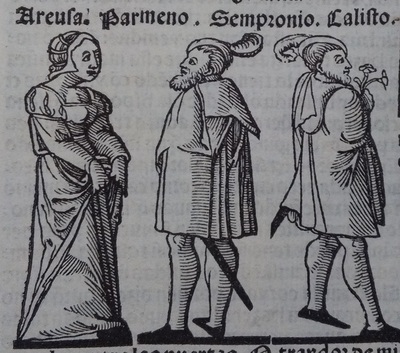 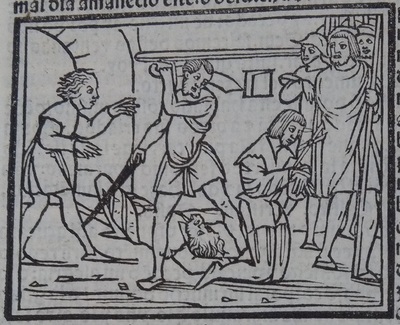 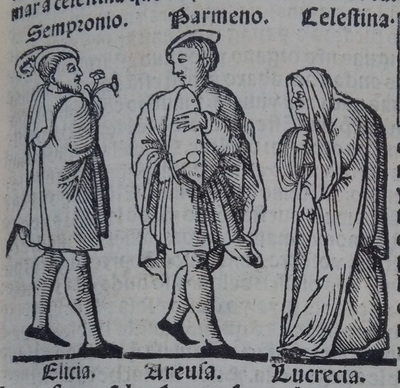 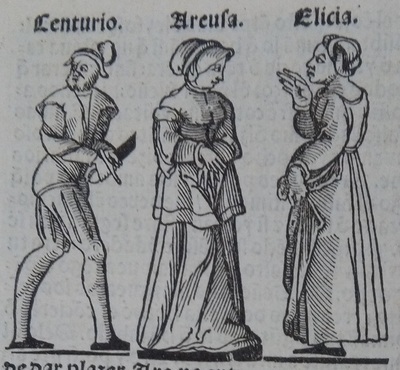 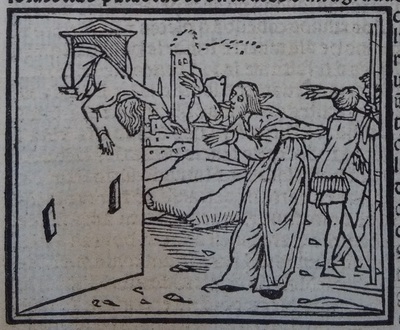 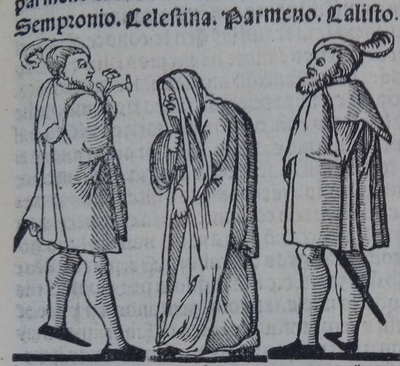 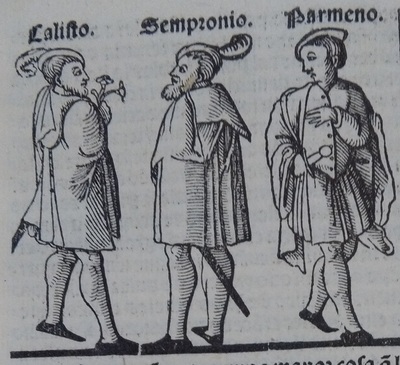 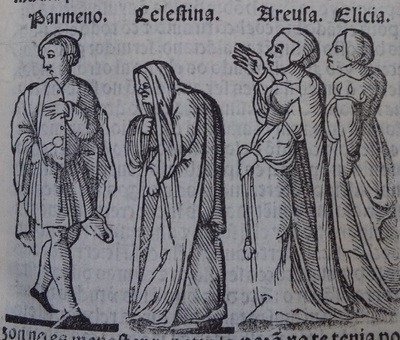 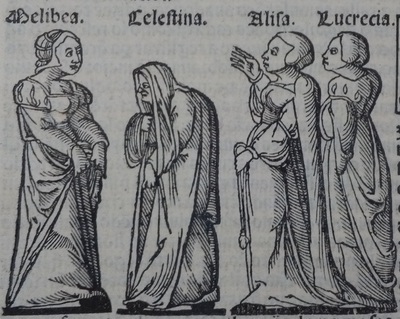 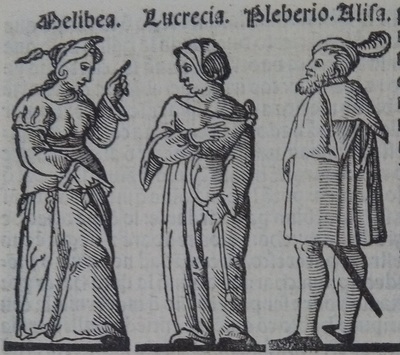 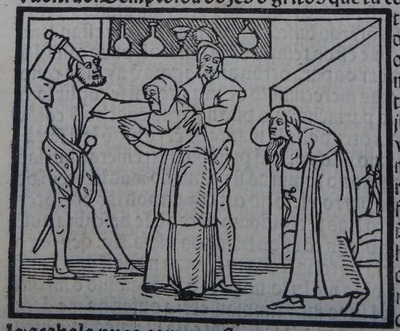 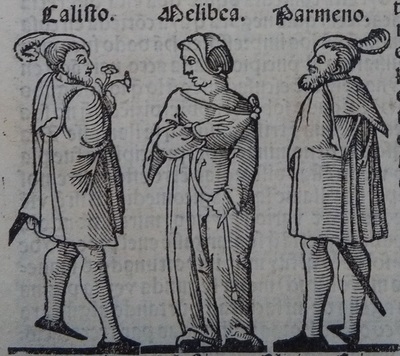 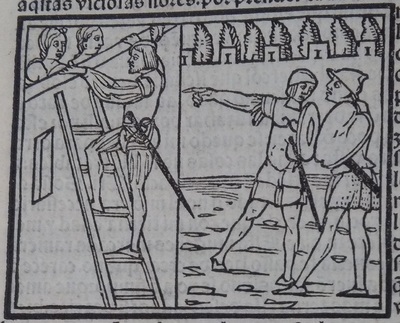 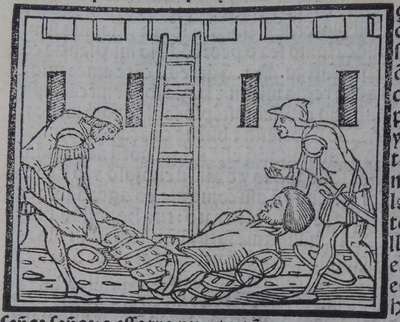 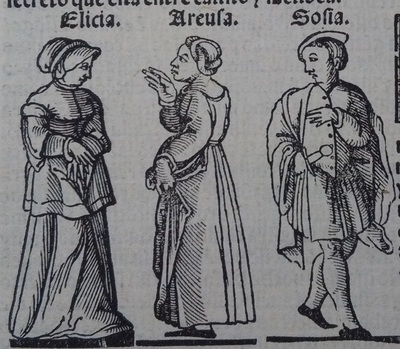 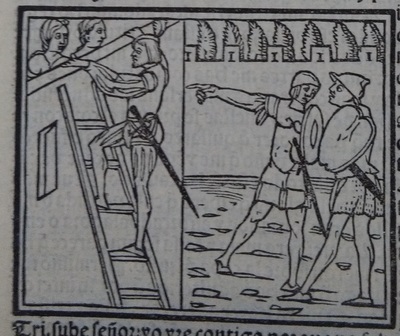 L. Rodríguez and anonymous illustrator and L. Rodríguez and anonymous illustrator, “Image of act 3 of the edition of Lisbon (1540),” CelestinaVisual.org, accessed April 23, 2019, http://en.celestinavisual.org/items/show/3081.